Home | IMS Partners, Inc.
For over 25 years, our family has been specializing in safe investments. Investing safely with protection. We can show you how the right way. Safety first, income second, and growth third. 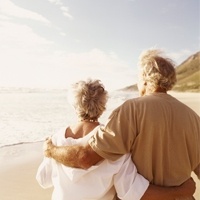 A different investment strategy for today's retirees. Come meet our team! Click the image or the link below. We at IMS Partners, Inc. believe in providing our clients with more than just investment choices. We provide full financial planning for your retirement. Our program includes reviewing your investments, discussing your income needs, understanding your future goals, and putting together a plan designed to meet all of your expectations as well as your dreams. We also believe that the perfect estate plan, regardless how large or small the estate, is one that meets your needs while you’re alive, provides for your spouse after your death, and passes EVERYTHING to your beneficiaries. Achieving the perfect plan can only be accomplished through planning on your part, and a total commitment to being current with everything that affects seniors financially on ours. We pride ourselves on our efforts to stay up-to-date on tax law and elder law changes that affect the senior market, changes in the insurance and securities industries, and everything that is important in providing you with the correct information to meet your financial needs. When we help you plan for retirement, we manage your safe money and your risk money together. Our number one priority for our clients is safety of principal, our number two priority is generating as much income as possible, and our last priority is growth. If we can invest your money safely while generating good income, the growth will take care of itself. This concept has set us apart from other financial advisors.